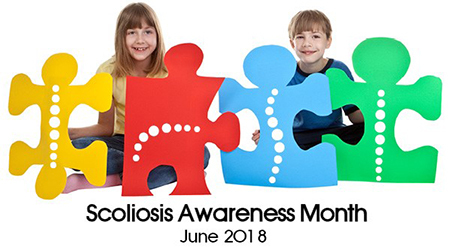 Do you have a friend or family member who may have a scoliosis? Could they recognise the signs? Slouching, one shoulder higher than the other, one hip higher than the other, or uneven shoulder blades are all signs that a person might have a scoliosis – a sideways curvature of the spine that can get worse as we grow or age. Sometimes these things are easily spotted, and other times it may not be so obvious. Here at The Grand Falls Chiropractic Wellness Centre we are dedicated to making sure young people in our community grow up with strong, healthy spines and early treatment of scoliosis leads to better results. 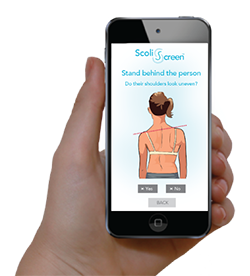 Throughout June our aim is to raise awareness about scoliosis screening and introduce a great tool available for simple screening at home. This June, let family and friends know they can use ScoliScreen for free at home. Feel free to pass this post on to anyone you think might benefit and remember, if there are any concerns about your or your family’s spinal health we are always available to help.